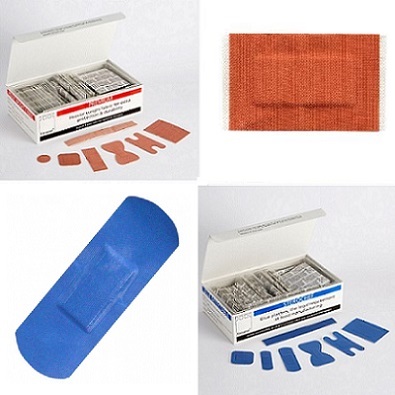 Make sure you have plenty of back-up supplies as Plasters are the most frequently used first aid item! I use the first aid stuff in our mini bus fleet and I would recommend this company to other fleet transport companies as the first aid products are all of excellent quality. This product is used for our First Aid Kit at work. Would recommend to all offices and workplaces. Good mix of sizes. Haven't used any yet, but they look fine. The plasters are vastly superior to any I have bought from the larger manufacturers and stay in place for days on end. Brought for the office/kitchen area. great price. Good quality and plenty of choice on sizes. Blue plasters are very useful and practical - water-resistant. Good high quality. Use for travelling and multiple everyday use. Prefer to use these for hygiene reasons. Plasters remain in situ when applied. The assortment type is not always available from other suppliers. Do the job for the cost. Excellent product, just what I needed to comply with my employers request. Speedy delivery, excellent all round. I know where to go if I need anything else ! 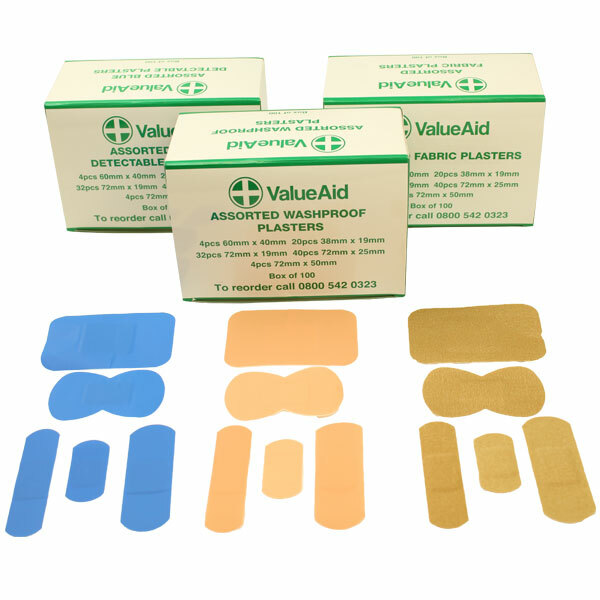 Needed extra plasters for our first aid kit and these fitted the bill as they are washproof. Used by staff; they stick well and the range of shapes make it easy to find one for a variety of cuts. Used by staff in a kitchen environment. 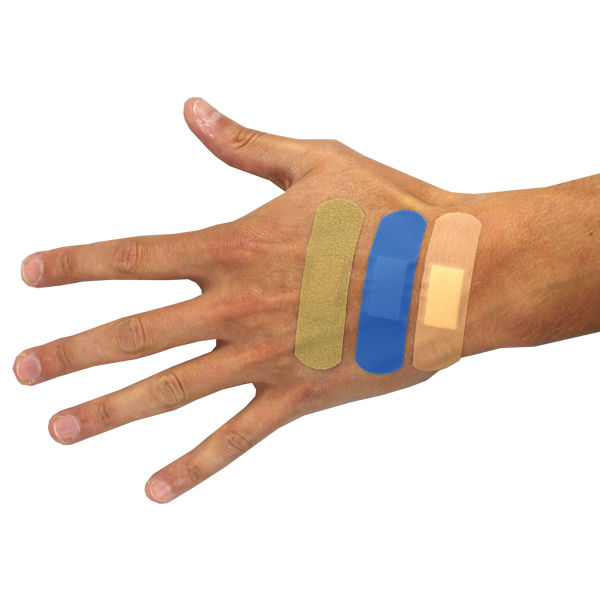 They stick well and the assorted shapes make it easy to find a plaster for a variety of cuts. Used in kitchen environment. Good quality plasters. Have used a couple already! Good selection of plasters in the pack. 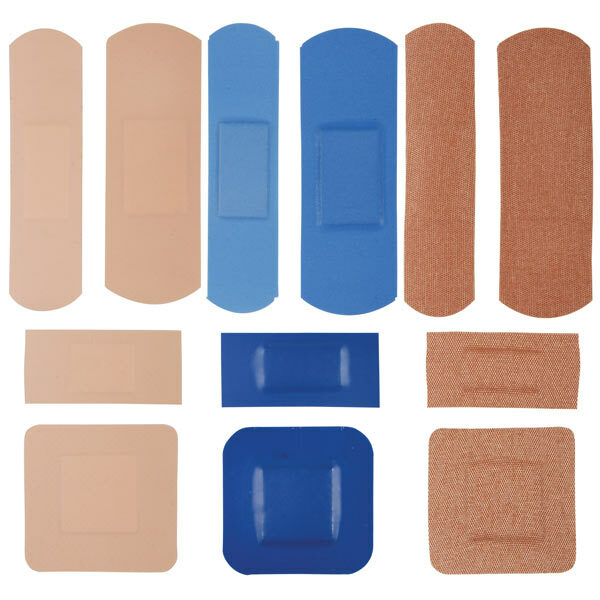 We needed blue plasters for the kitchen, assorted at a reasonable price. Good selection in a box. Used in school, for minor cuts. recommend to anybody. Again these were purchased for use by kitchen staff where visual dressings are a must. We are using the plasters for a promotional give away. 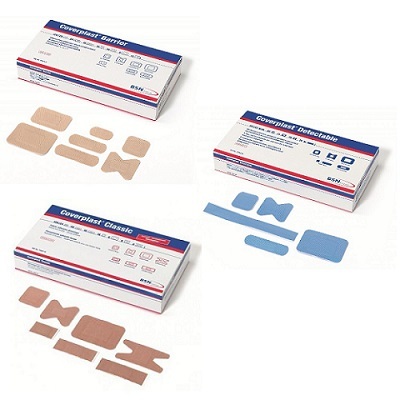 Good plasters that stay in place which is important as they are used for children.